Leahurst College is a new Kingston high-school that just opened it doors in September 2013. As a new private high-school they started up with only grade 9 and have plans expand adding grades each year until they can accommodate grade 7 through grade 12 by 2017. The school is taking a very unique approach teaching advanced placement with very high academic standards while introducing hands-on learning through practical application and experience. My younger brother Joshua was given a unique opportunity to attend and is enjoying it very much. As part of their practical application, they visit universities, research facilities, try different sports like rowing, rock climbing, slack line etc…. With this in mind, on Wednesday, I was given the opportunity to introduce archery to all of Josh’s classmates. 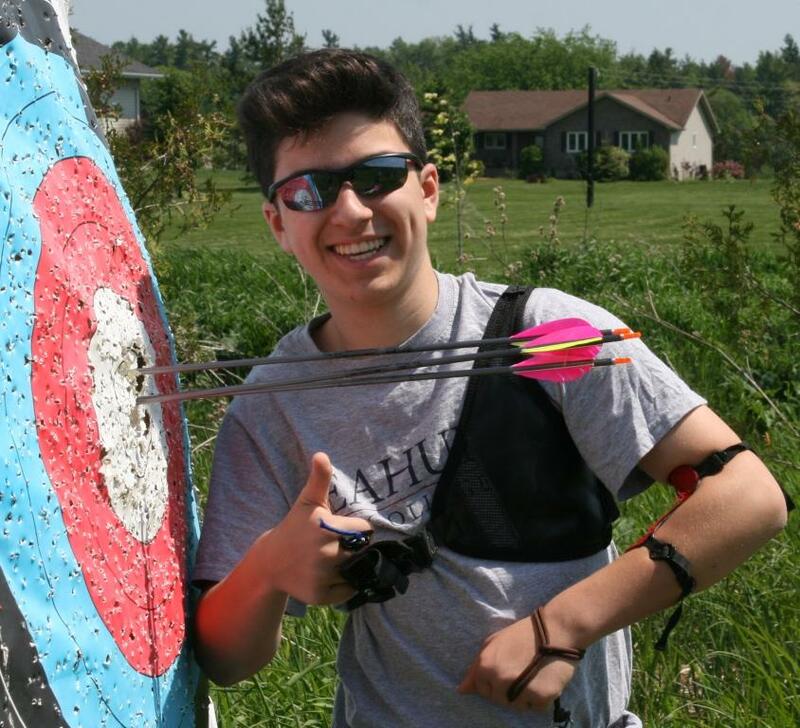 One of the reasons, they wanted to introduce Archery was because Josh became the school’s first competing athlete, when he attended Ontario OFSAA championships in Toronto. The school wanted all his classmates to understand and appreciate what it takes to not only shoot archery but to compete. We covered the basic 10 steps of archery, safety, basic tournament rules, and some physics of archery. The students had a lot of fun in the sun shooting arrows in to the target. They all started at 5m working their way to 15m for about an hour. At the end of class, they sat back and admired as Josh shot from 45m. I believe they all now have an appreciation for the level of skill and consistency Joshua has developed in the sport. Little did they know, this was all with his indoor setup and feathers vanes. There were about seven students in total, which is the most amount of students that I have personally coached at once but, it was a lot of fun. They even talked to me about doing another group lesson in the future and the possibility a Leahurst Archery club that could attend OFSAA in the future. Leahurst’s students are currently doing exams, and I want to wish them all the best of luck and I look forward to teaching them in the future. If you would to learn more about Leahurst College check out their website or facebook page.